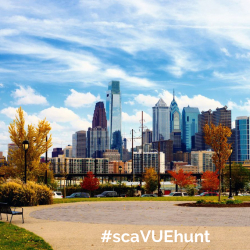 This month at Vue32, we challenge you to be a hometown tourist and explore University City. 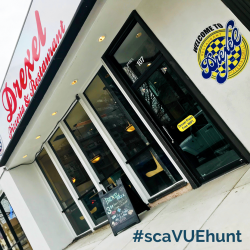 Get a chance to win awesome prizes and appreciate your favorite spots around UCity by participating in the February Vue32 scavenger hunt. Here’s what you need to do to win. Each week this month, you’ll visit the locations listed and take a photo. 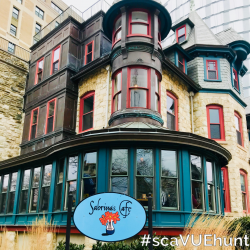 Share your photos on social and be sure to tag Vue32 on Facebook, @vue32_apts on Instagram or @Vue32apts on Twitter and use the hashtag #scaVUEhunt. This enters you for a chance to win one of three amazing prizes. All winners will be announced March 2, 2018. The first place winner will receive a $100 gift card for a night out on the town on us! The second place winner will get a $50 visa gift card and the third place winner will be gifted a pretty sweet Vue32 Swag Bag. 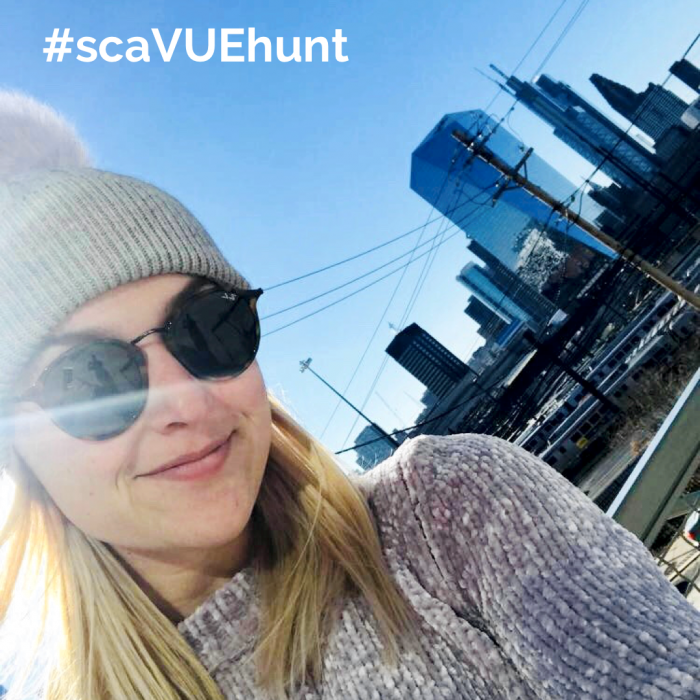 The first week of the scavenger hunt, we challenge you to take a selfie with the stunning views from Vue32’s rooftop deck or outdoor plaza. 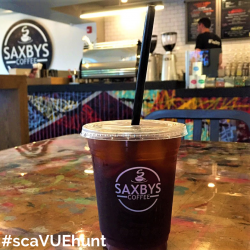 Next, you’ll need to visit and check in at Saxby’s. Get a selfie with your favorite drink here. Week two’s is taking you to three different locations. 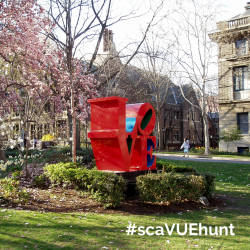 Feel inspired by Valentine’s Day and visit the Love statue at Locust Walk. Here, take a photo hugging a friend,a significant other or even yourself! Next, stop by Sabrina’s and take a picture at the beautiful entrance. Lastly, take a selfie at Piper Boutique. During week three, we’ll be celebrating Drexel University with our honorary #DrexelWeek! Therefore, you’ll need to visit a few Drexel campus locations to accomplish this week’s challenges. 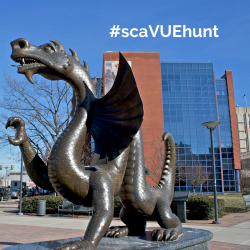 Start by getting a picture of the gold statue at Drexel Dragon Statue. Next, you must go to Drexel Pizza to get a slice of your favorite pizza or menu item. Finally, you’ll need to stop at Drexel Park to take a picture of an adorable dog. 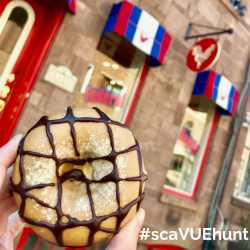 Finally, we’ll end the scavenger hunt with a stop at Federal Dounuts. Here, you must get a ‘food-in-the-air’ photo with your favorite doughnut. 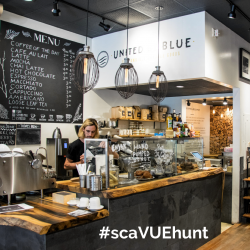 Then, head to United by Blue where you must take a final selfie. 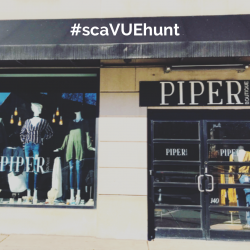 We hope you’ll be creative and have fun with our #scaVUEhunt this month. Happy scavenging!